I have been interested in festivals ever since I attended my first, as a sixteen-year-old: Reading Festival in, yes, 1977. As I remember, Thin Lizzy played, and there was a moment when bassist and singer Phil Lynott, whose Fender bass had a mirrored scratchplate, was moving the bass so that his spotlight reflected off the scratchplate onto people in the crowd. And yes it did shine on me. And SAHB played, and stole the show (‘Framed’ was Alex as Jesus on the cross)—was it their last ever gig? I guess I was hooked. Other festivals followed over many years—Reading a couple of more times, Deeply Vale and Stonehenge Free Festivals, the tail end of the East Anglian fairs, WOMAD Festivals, Outside-In Jazz Festival, Glastonbury, and many just as interesting smaller or local events. 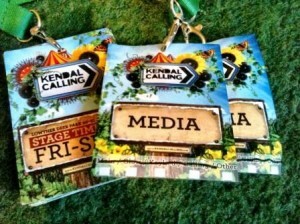 I will say that going to a new WOMAD festival, en famille, in 2008, did try my patience and enthusiasm (‘wo-MUD’), though being what I claim as first ever Professor in Residence at a pop festival, at Kendal Calling in 2011 (then the inaugural Professor in Residence at he EFG London Jazz Festival in 2014), and having a production pass at the Maijazz Festival in Stavanger as part of the Rhythm Changes project also in 2011, really revived things. A number of recent and current national and international research projects are evidence of the surge in academic interest in festival culture. I have been involved in some capacity with each of these, as lead researcher or a research partner, invited speaker, organiser, or advisory board member. 2006-08 ‘Society and Lifestyles’ (inc. European pagan / folk festival event; EU FP6; Cultural Studies/Sociology). With AHRC funding I researched this festival, its origins, development, riotous moments, its mediation, and even a proto-free festival suggested by some of its more radical attendees. This work is published in chapters in Circular Breathing: The Cultural Politics of Jazz in Britain, and in Andy Bennett, ed., Remembering Woodstock (Ashgate, 2004). Beaulieu, in the deep green New Forest of the 1950s , was where so much of British festival culture sprang from; an extraordinary, groundbreaking event. A short bibliography I produced originally in 2005 for a then new website about the East Anglian Fairs of the 1970s and 1980s. Short because there is unfortunately actually little research about this important rural countercultural period (although there is now an archive to visit and study, in I think Suffolk County Council main library, Ipswich). 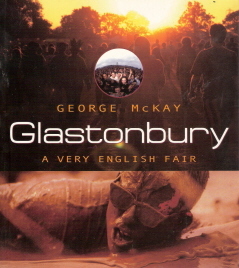 [From the introduction] This is a book about Glastonbury, the town, its landscapes and legends, the festivals there. It is also about festival culture more widely—the history and development of popular music festivals, the ways in which they have contributed to alternative culture, even to alternative history. In spite of the weather, Britain has an extraordinary tradition of festival culture, which, as we will see, takes its inspiration from sources as diverse as Gypsy horse fairs, American rock festivals, rebirthed pagan rituals and country fairs. From trad and modern jazzers at Beaulieu in the 1950s to the New Traveller/Acid House free gathering at Castlemorton Common in 1992, festivals can be vital spaces, vital moments of cultural difference. They live in the memories of those who were at them, as experiments in living, in utopia, sometimes gone wrong. These festivals are about idealism, being young, getting old disgracefully, trying to find other ways, getting out of it, hearing some great and some truly awful music, about anarchy and control. Of course, festivals can also be dull, homogenised mass events, at which crowds worship bad music played too loud in unconscious echo of sub-fascist ritual—but mostly those are the heavy metal ones. (Joke!) 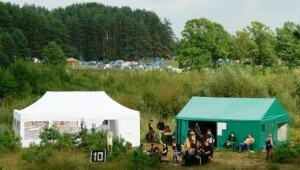 Key features of festival culture in Britain include a young or youthful audience, open air performance, popular music, the development of a lifestyle, camping, local opposition, police distrust, and even the odd rural riot. 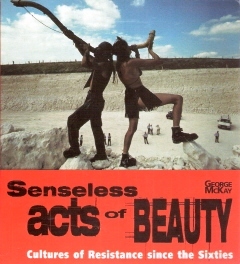 To both chart and to celebrate the counterculture’s tribal gatherings, I look in detail at Glastonbury Festival, which has been at the centre of the movement for thirty years, on and off, and which reflects the changes in music and style, in political campaigning, in policing and festival legislation over all that time. 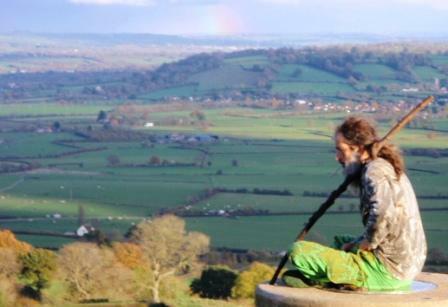 Its audiences include old and young hippies, punks, folk fans, ravers, neo-pagans, and generations of activists, dreamers, fun-seekers, musicians, pilgrims, as well as the many city-dwellers who come down on Glastonbury for that annual hit of green freedom (within the fences, anyway). 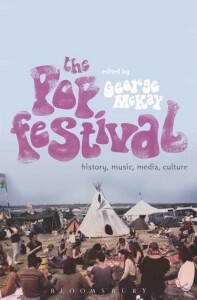 The book moves between the micro-perspective of what Somerset dairy farmer and Glastonbury Festival organiser Michael Eavis calls his ‘regular midsummer festival of joy and celebration of life’, and the macro-perspective of what sociologist Tim Jordan has identified as ‘the importance of post-1960s festivals to ongoing radical protest’. I make no apologies for positioning my version of festival culture within a political praxis and discourse, however problematic. It is though a politics which admits pleasure, whether of pop and rock music, of temporary (tented) community, of landscape and nature under open skies, of promiscuity, of narcotic. 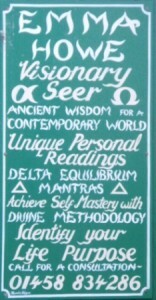 The version of festival culture I offer here contains all these features. Sometimes. In varying degrees. The vibrant adventure that is the social phenomenon of festival culture that has developed since the 1950s in Britain has touched several generations now. I hope you recognise your festival here; it has indeed ‘built up the dance of the year’. Be generous and optimistic: remember the good parts, for memory can change the world. (A bit. Sort of.) I hope you recognise your Glastonbury here. Even if you don’t remember it. 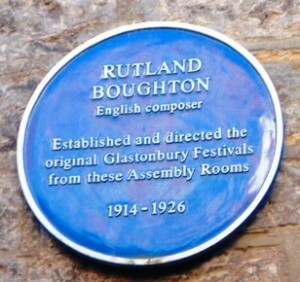 Glastonbury contains many black and white and colour images, and a Time-line of Festival Culture 1951-1999. Many of the photographs are by Alan ‘Tash’ Lodge. and the rave/free party movement of the 1990s. Extract from Chapter 1: The Free Festivals and Fairs of Albion… Free festivals are most notoriously framed in America in 1969 by the utopia of Woodstock and—a mere four months later—the dystopia of Altamont, Hell’s Angels murdering while the Rolling Stones play ‘Sympathy for the Devil’. One writer in the underground International Times viewed things in this way: ‘Woodstock is the potential but Altamont is the reality’. According to Elizabeth Nelson, ‘[a]lthough Altamont hardly stemmed the flow of free festivals in Britain, it almost certainly affected the attitude of the British counterculture to what might be termed the festival idea’. I’m not sure about this: Woodstock and Altamont are so early in the timetable of British free festivals, they’ve almost been and gone before the British scene is in any way established. (It may be that the influence of Woodstock is felt later, when the movie is released and distributed in Britain. Nigel Fountain similarly suggests that the film of the 1967 Monterey festival exported the romance, the desire of such events to Britain.) In 1969 the British scene is utterly embryonic; in fact, free festivals in Britain are one activity that can clearly be said to have outlived the hippy counterculture from which they sprang. 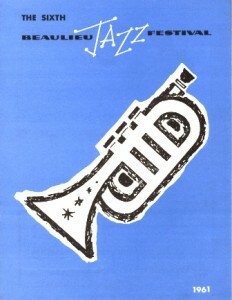 There is an earlier American film influence on the development of British music festivals, namely the films of Newport and other jazz festivals. In spite of the vagaries of climate, Britons too wanted to experience Jazz On A Summer’s Day. 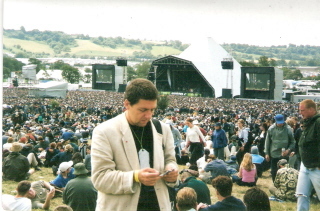 ‘[S]ince the early 1960s the British had gathered in wet fields to hear jazz, [and] 1968 had seen an outbreak of small festivals, with even a fair-sized event (12,000) on the Isle of Wight, . . . [but] 1969 was the year that rock festivals took off in Britain’. Blind Faith at Hyde Park in June, the Rolling Stones there in July, Bob Dylan on the Isle of Wight in August. It’s ironic and apt that the free festival movement in Britain rather stumbled into existence–the White Panthers helping the fences come down at the final Isle of Wight in 1970. 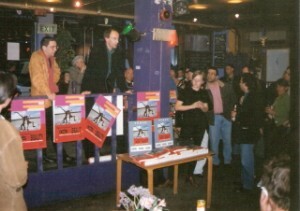 Another event which quickly turned into a kind of free festival, what may have been Britain’s first consciously organized along non profit-making lines, was ‘Phun City’. This event was organized by then underground writer Mick Farren, inspired by what he saw–following Woodstock in August 1969–as the utopian possibility of connecting counterculture with rock music.The event was publicized through the underground press, including one of the most widely circulating hippy-politico magazines, International Times. July 1970 was the date, described retrospectively by Nigel Fountain as the underground’s ‘Indian summer’. Shambolic organization and finances, court injunctions and the local Drugs Squad, led what was originally planned as a profit-free enterprise to end up effectively as a free festival, with between–depending on who you read–three and ten thousand people camped in the woods by Worthing, Sussex. Free music, free food, even free drugs, as at least one dealer ‘sold dope until he had covered his costs. Then he gave it away’. Actually, the early free festivals–as opposed to simply one-off free concerts–were commercial events which either went wrong, or were challenged or overwhelmed by their audiences: a month after Phun City the final Isle of Wight festival attracted upwards of a quarter of a million people, many of whom were unhappy about the rip-off prices of admission, food and general musical organization. Within a couple of days the fences were torn down and a free festival declared, just like Woodstock, complete with food shortages outside the now physically-guarded VIP enclosure. The following summer, underground rockers the Edgar Broughton Band planned to take the idea of festival on the road. A free tour of British seaside towns was organized. The resort of Blackpool, a self-proclaimed centre of pleasure and indulgence, reacted strongly to the possibility of such subversives coming, and ‘slapped a ban on all such free shows for the next 25 years’. Free festivals are practical demonstrations of what society could be like all the time: miniature utopias of joy and communal awareness rising for a few days from grey mundane of inhibited, paranoid and repressive everyday existence. . . . The most lively [young people] escape geographically and physically to the ‘Never Never Land’ of a free festival where they become citizens, indeed rulers, in a new reality.